I am so not ready for another baby. Not in the least. I am still recovering (mentally and spiritually) from pregnancy, labour and delivery and the first 3 months of baby Charlotte's life. :) All joking aside - I have no clue if we are going to have another baby. I can't imagine only having one, or Charlotte not knowing what it is like to have a little brother or sister. I have always thought that if I did have kids, I would have at least 2. My husband is set on just having one - mainly for financial reasons - but we will have to see what the future holds I guess. I must say, I would love another maternity leave. This is the best time in my life so far - enjoying every minute of it and am so grateful. But if we do decide to have another baby, and are blessed to have one, these are on my wish list of items I would love to try! I think there was a just a recall on this item for mold but those recalls don't ever deter me (just be sure to Google it if you already own this product). We used a basinet for our little one but she never really got used to it so I moved her into a little bed next to me and that only worked sometimes. She spent her first 2 months sleeping on me or swaddled and propped up in a breastfeeding pillow. 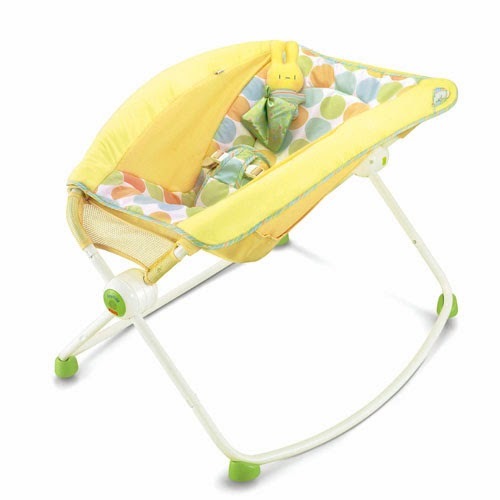 For Maybe Baby #2, I would like to try a different approach and get something like this Rock n' Play Sleeper. And if it works, it is easy to move from room to room, and easy to travel with. Anyone use this product and did your little one sleep in it? When we went for our hospital tour, the lead nurse told us that swaddling was a big no no now and that our newborn would not be swaddled in hospital. Fast forward to d-day, and the first thing they did was wrap her up like a tight little burrito. I had some judgement about swaddling so I never learned how to do it properly with a blanket. We used a few swaddle sacks from about 1 to 2 months but my husband hated them. 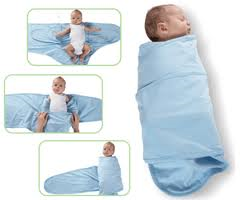 I've heard rave reviews that the Miracle Blanket from other moms who swear that it's a sleep genie. Will definitely invest in one if the time comes. This is the "it" product for 2014. 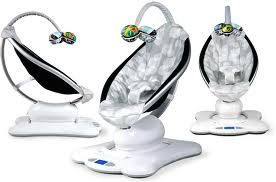 Charlotte never took to her swing or vibrating seat but if we have baby number 2, I would love to try a MamaRoo - swinging and vibrating all in one. I enter every contest I come across to try and win one of these. And since the majority of our baby gear is second hand (grateful) it would be fun to have something brand new the next time around. Speaking of sleep ... the Magic Sleepsuit is supposed to work miracles when transitioning out of swaddling. Good until babies can roll over on their own, this Sleepsuit keeps the baby weighted on their back so they start to feel freedom but not too much - less arm and leg craziness. Charlotte had no problem going from the swaddle sack to a sleep sack and onesie but not all babies enjoy hat much freedom until they are a bit older. I had to buy my friend a baby shower gift so I asked my prenatal class momma friends what baby product they can't live without (I actually don't use a lot of products - we have a ton of stuff but I rarely use most of it). One friend said that she loves her Woombie Donut and after looking into it, I wish I had one myself. 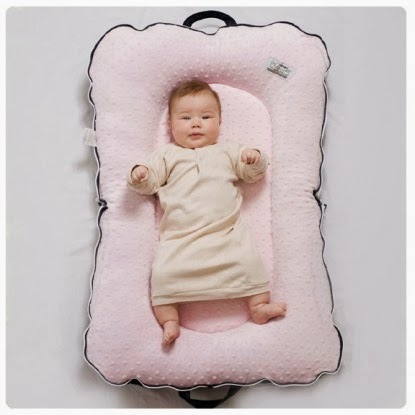 It's basically a travel bed for your infant. 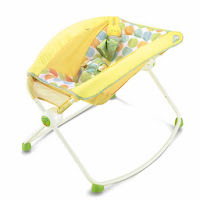 You can use it to set your baby down in a comfortable space when you need your hands free. They say not to use it to sleep in but I would have no problem with it - and would probably take it everywhere with me. I will for sure be looking at one of these in the future. Are there any items that you think are must haves for "maybe baby" #2? Interesting items, thank you. With a new baby on the way there are so many options of what to buy, I found this helpful. Thank you Krystal - there are so many products out there, it's hard to figure out what you need or want. Experiment and congratulations! Those sleep suits are cool! I've never seen them before. We have had 5 newborns and have swaddled every one of them! We're in the same boat as far as baby #2. The Woombie Donut looks cool. We do travel a lot and it would be nice to have a portable (foldable?) baby "bed." I'll have to check it out if we ever go through with another baby.